We have an interesting battle for you guys this week, but before we get into it we have last week’s results. In a stunning fashion, Cavalera Conspiracy walloped Cannibal Corpse by 14 votes as you voted that they covered Possessed’s The Exorcist better. In this week’s War Of The Covers, we have a battle that pins a guitar maestro against some bay area thrash titans in a match for the ages. Most people in the world know the Scorpions for tracks like No One Like You, Rock You Like A Hurricane, Big City Nights, and their cover of The Who’s I Can’t Explain. What most people do not realize is that there is a whole catalog of great seventies music from the band that at one time featured the great Uli Jon Roth on guitars. In 1977, the Scorpions would release their fifth album Taken By Force which featured this week’s featured song The Sails Of Charon which is a guitar player’s dream track. In 1996, guitar virtuoso Yngwie Malmsteen released an all covers album entitled Inspiration which featured the track sung by Mark Boals. In 1997, Bay Area Thrash titans Testament would record and release a cover of the song for their greatest hits album Signs Of Chaos: The Best Of Testament. Now only one track can reign supreme while the other will be sent to Charon with payment for travel past the rivers Styx and Acheron to the land of the dead. You have until the next War Of The Covers to decide who is victorious. Now that the drama is finally over and done with, we can move on knowing that there is only one version of Queensryche in the world. 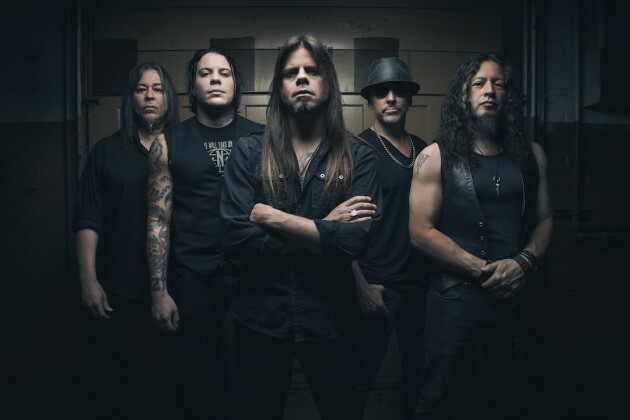 Queensryche with Todd La Torre is back to announce an brand new record (their second with La Torre on Vocals) and a 2015 fall North American Tour with German legends the Scorpions. The name of the new album is called Condition Hüman and it’s going to be released in October of this year via Century Media Records and it was produced by Zeuss (Rob Zombie, Hatebreed, Sanctuary). The band has also unleashed a brand new track off the record for all of you to enjoy called Arrow Of Time The song has everything you would want from a Queensryche with the amazing guitar playing from Michael Wilton and Parker Lundgren to the powerful power metal vocals that Queensryche is known for. Some media outlets have looked at this announcement as a coincidence considering Geoff Tate announced his new band Operation: Mindcrime and their album, but most forget that Queensryche had set up a special for fans back in November of 2014 where they could buy cool items for their pre-order campaign called Building The Empire. The album is currently available for pre-order right now via their Pledgemusic site here. 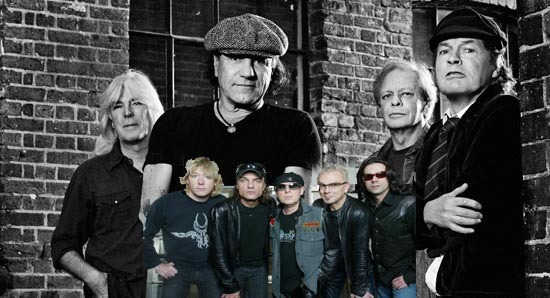 As I also said above, the band is gearing up for a North American fall tour with the mighty Scorpions which kicks off in Boston on September 10 and ends with a hometown show in Seattle on October 9TH. Check out the track below and check out the full tour dates below. 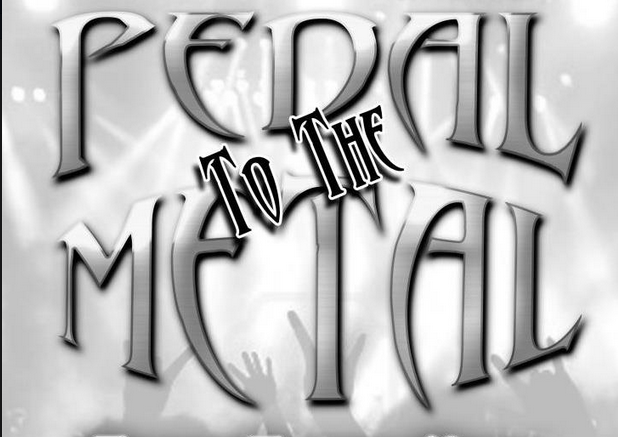 Alright all you metal fans out there, the final four of the 2015 Pedal To The Metal Tournament is finally here and as usual it’s because of you that they are here. With that being said, I want to thank everyone who has participated and voted in the tournament because this is a tournament for you guys where you decide your favorite 80’s Metal band’s fate. The final four matches are set and they are some good ones. 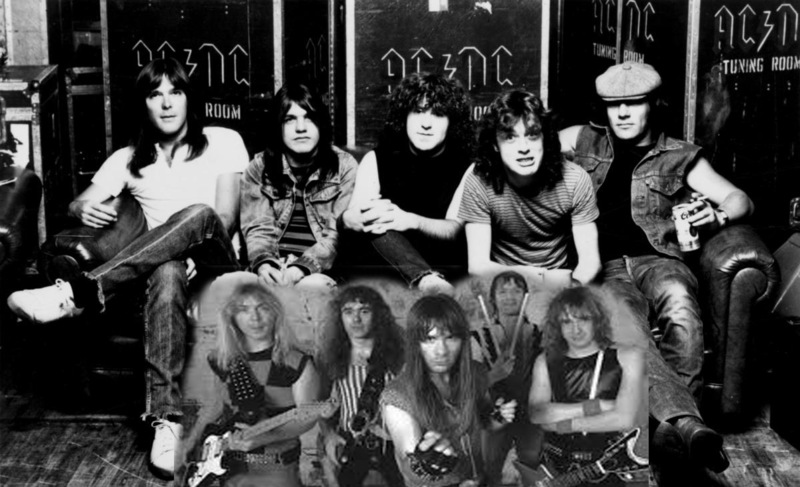 In match AC/DC who had to go through Ratt, Motley Crue, and the Scorpions takes on Iron Maiden who beat Manowar, Dio, and Accept to earn a spot in the finals. In the other match, the original member of The Big Four of Thrash in Slayer takes on one of the original members of The Big Teutonic Four in Kreator. Kreator beat out Carcass, Celtic Frost, and Venom to earn a spot in the finals while Slayer went through Exodus, Megadeth, and Testament to be in the final four. The tournament has been interesting to say the least and you metal fans have let your voices be heard loud and clear. You guys have until Monday the 30TH of March at 11:30 AM ET to decide who moves on to the finals for the Pedal To The Metal Championship. It was the divisional finals and again some drama brewed between the fans, but it was a good kind of drama as everyone showed their support for their favorite bands. We have the results of the Divisional Finals and some may shock you while others really shouldn’t have. In the hard rock/hair metal division, AC/DC had no problem dispatching the Scorpions 111 to 66 to earn their spot in the final four. The Heavy Metal divisional final lived up to the hype as the fans once again showed up in droves and I want to take the time to thank Accept once again for sharing the post on their page. I really appreciate it and it definitely made the contest interesting. Unfortunately, they could beat Iron Maiden in the heavy metal divisional final as Maiden took it 1911 to 1473. 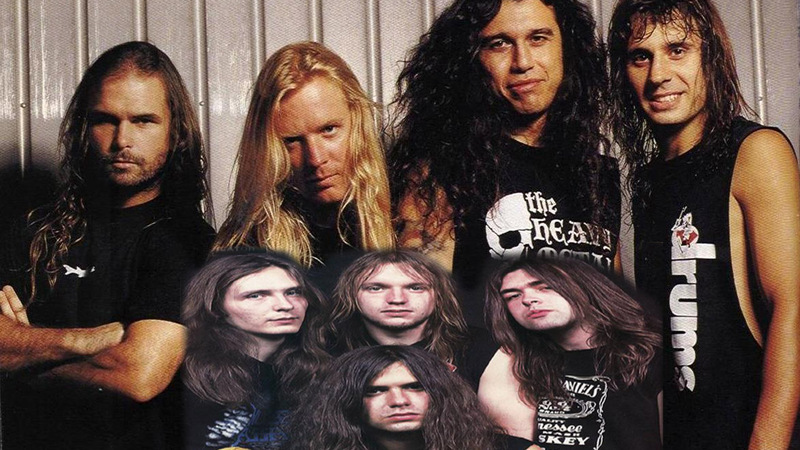 In the extreme metal division, Kreator was able to slay the Godfathers of Black Metal Venom 91 to 43 while in the thrash metal division, Slayer proved they were the ultimate thrash metal band beating Testament 93 to 54. 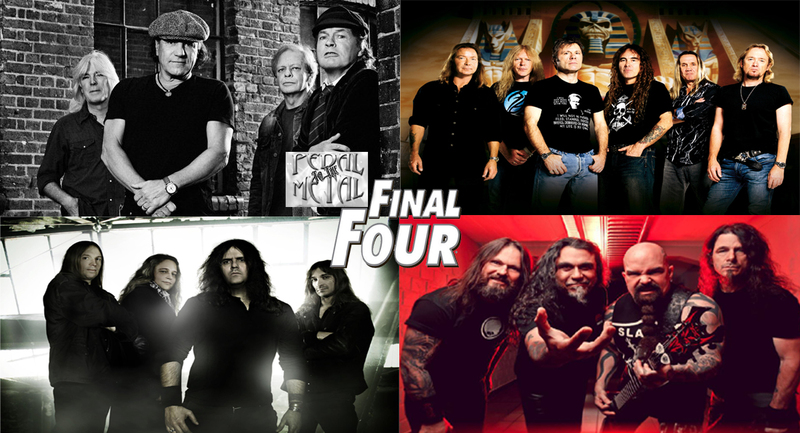 The final four is set as AC/DC will take on Iron Maiden while Slayer takes on Kreator. Again, I want to thank everyone that participated in the tournament by voting and commenting on the posts. I hope that I can see all of you once again in the final four and I want to thank all the bands as well for being great sports. It’s come down to this as we are down to the elite 8 in our march madness style tourney, the 2015 Pedal To The Metal Tournament. What you are looking at is the Hard Rock/Hair Metal divisional finals where the winner will meet the winner of the Heavy Metal Divisional final in the final four round. AC/DC’s road to the hard rock/hair metal divisional final started with a decisive win against Ratt in the first match and another one against Motley Crue in the sweet sixteen. They’ll be looking to score another victory against one of the finest German rock bands in history in the Scorpions. The Scorpions road to this point started with a win against the heavily favorited Def Leppard and then a win against last year’s runner up Cinderella in the sweet sixteen. It has come down to this, two bands with a rich history that extends beyond the 80’s looking to represent hard rock all the way into the finals. You have until March 27TH at 8:30AM ET to vote for who you want to win and remember the keyword is that YOU vote. One of the divisions that absolutely makes me laugh is the heavy metal division and I’ll explain it to you. The first round featured you (the voters) having the ability to vote multiple times in a day and that pissed people off because one artist was losing to another. I change it in the next round that you are only allowed to vote once a day and people are still pissed off and blaming the tournament because one band’s fans showed up and voted for their favorite artist. You just can’t win, but the show must go on. So in the heavy metal division, Iron Maiden easily dispatched of Dio by gaining 500+ votes more than Dio. Savatage pulled off one of the biggest upsets in the first round, but their luck ran out on them as Accept and their fans showed up in style as they won by a huge margin. In the hard rock/hair metal division, AC/DC proved their brand of rock and roll was superior to Motley Crue’s winning 131 to 62. Cinderella’s fans always showed up for the band when the time was right last year and it looked like they were about to do the same, but their luck also ran out in this round as the Scorpions move on to the next round. The thrash division featured some great matches and like Savatage, Death Angel pulled off a huge upset win over Metallica, but they met their match against the mighty Testament who won by gaining 69% of the votes. One of the tightest matches of both rounds came as Megadeth and Slayer’s match was decided a whopping two votes as Slayer moves on to the next round. The extreme metal division also featured a match that looked like it was going to come down to the wire, but Venom squeaked ahead an never looked back as they defeated Death. Celtic Frost had no chance as they were easily dispatched by Kreator. There you go, the elite 8 has been decided as we quickly approach the final four. Stay tuned as I’ll post the next round’s matches very soon.